Fun fact: this shoe is also in the Metropolitan Museum of Art's Costume Institute Landmark Shoe Collection. 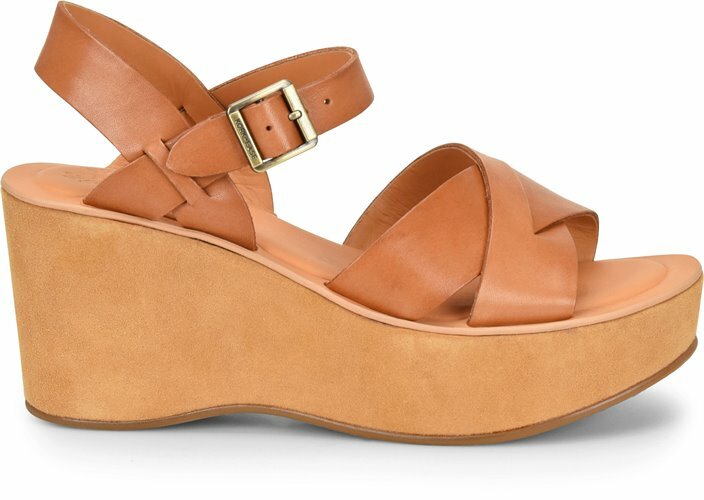 AVA is our classic wedge, also known as the buffalo sandal. Crafted with thick leather straps that patina the more you wear them, this is the wedge that started it all for us. **You might notice the leather looks different on your pair than on the website. We don’t treat our natural, full-grain leather with abrasive chemicals. Because of this, variations in the leather grain and color are perfectly natural, and celebrated. I love my sandals! They are nice, excellent quality and very comfy. they look amazing with jeans or with a dress! My absolute favorite sandal of all time. I wore “Buffalo sandals” in high school- so comfortable and missed them for years. When I found them again it was fantastic. These are still so comfy for all day and cute with every outfit.